Surprise, surprise! Dave is currently at SXSW Festival promoting his upcoming movie 6 Balloons alongside co-star Abbi Jacobson and director Marja-Lewis Ryan. 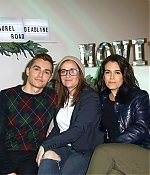 For those of you who don’t know, 6 Balloons tell the story of a woman (played by Abbi Jacobson) whose brother (played by Dave Franco) relapses on heroin, while living with his six-month-old daughter. 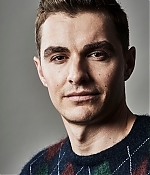 It’s certainly a first for Dave – Who has never played such complex character. Photos from Deadline Studio and portraits have been added to our gallery, and you can also watch two interviews bellow! Oh and best of it all? We can watch 6 Balloons on Netflix on April 6!